In his book, Dr. Maxwell (M.G.) 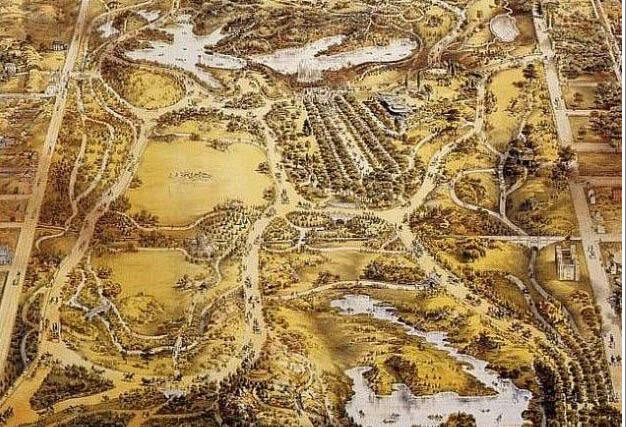 Lay , a leading civil engineer, wrote the book "Ways of the World: A History of the World's Roads and the Vehicles That Used Them". 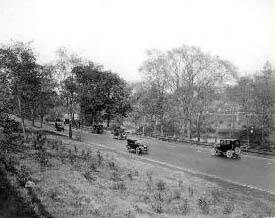 Dr. Lay documented that the Long Island Motor Parkway was "historically" the first parkway built in the world. 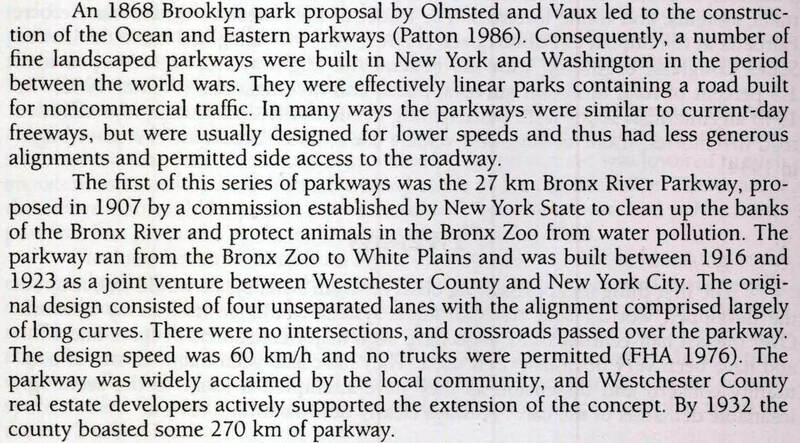 Below are excerpts from the parkways section of the book with supporting images. 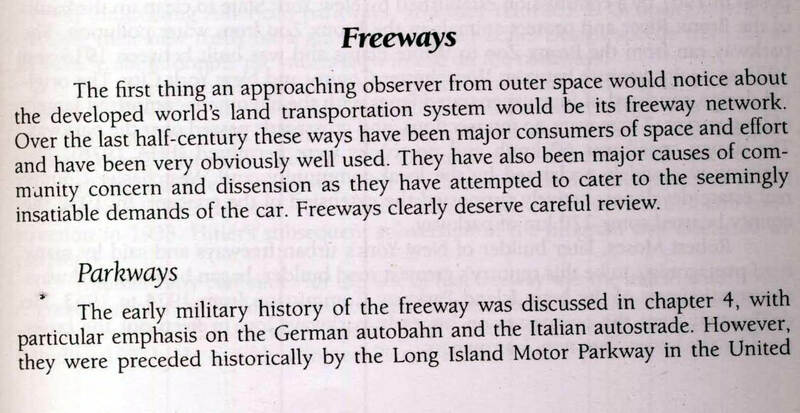 "..they were preceded historically by the Long Island Motor Parkway in the United States." 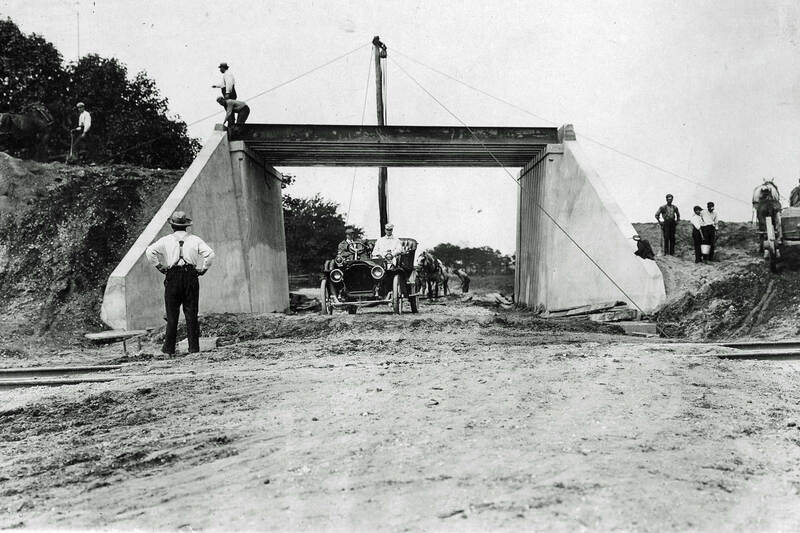 The Northern State Parkway Gateway at the Queens/Nassau County border on October 8, 1933. 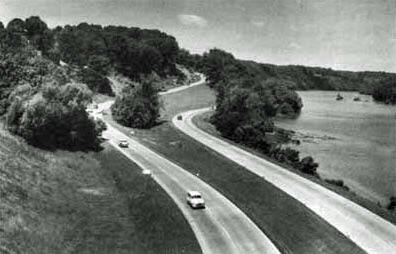 George Washington Memorial Parkway circa 1950s. 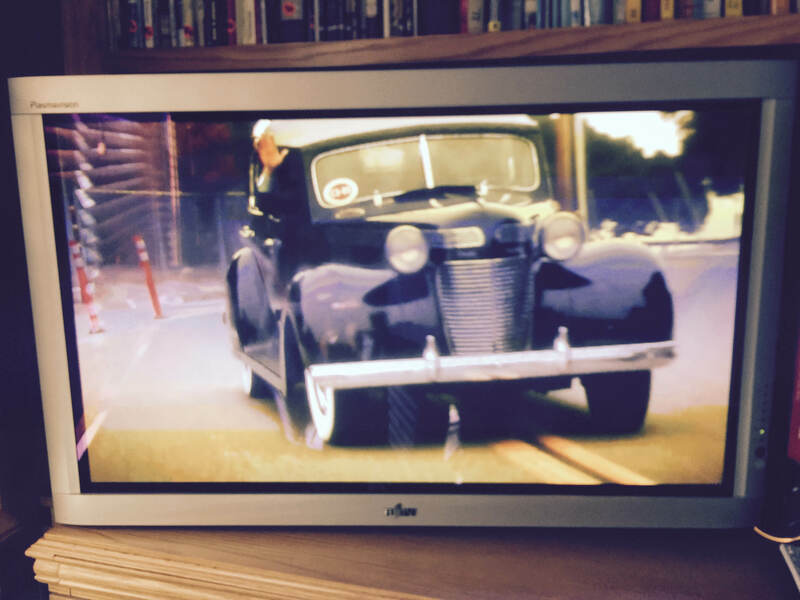 While watching Wayne Carini's Chasing Cars: Mama Mia show last night, Roz and I were very surprised to see me waving in Chrysler's Chrysler at the 2014 Pebble Beach Tour d'Elegance. Neat!! 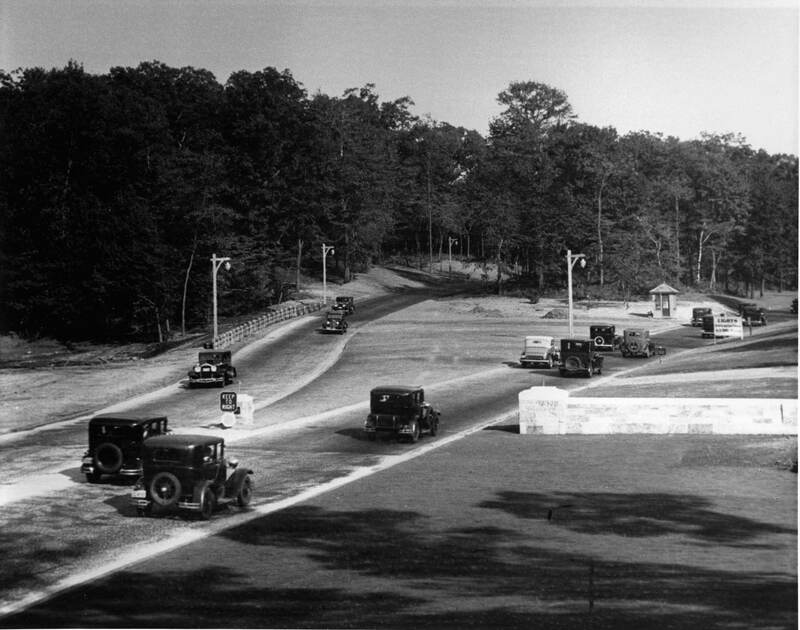 I recently purchased copies of your Vanderbilt Cup Races and Long Island Motor Parkway in conjunction with my research on classic speedsters for a book that I am writing. I also subscribe to your blog. I was reading your bio and noticed that you own a 66 GT350. I am a member of SAAC and own a 65 K-code fastback that I have used for concours competitions. Great cars to drive! Now, however, I am looking for an old speedster to work on, so will probably sell the Mustang to make room. I just wanted to drop you a line to compliment you on the fine work you are doing in covering the Vanderbilt Cup races. 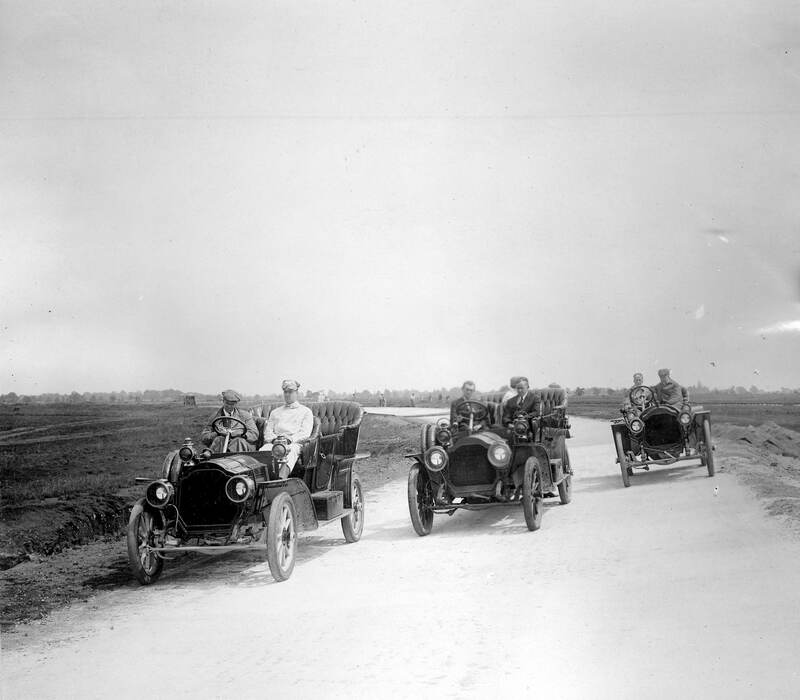 I know it is a lot of work, but you are filling in an important historical gap in American automotive history. Hats off to you, sir. Thank you very much for this. Ed.